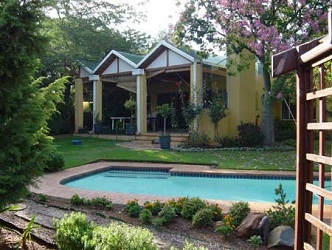 121 On Market situated in Fairland, Johannesburg, offers accommodation in four bedrooms with en-suite bathrooms. 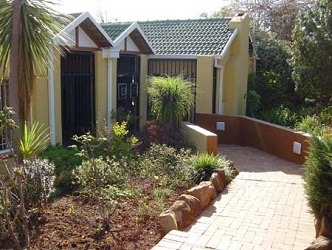 Two bedrooms have DSTV, tea and coffee making facilities, mini fridge, separate entrances, and queen or twin size beds.The Rose Room has a queen size bed, kitchen, stove, microwave, fridge, and freezer.The fourth bedroom has a private entrance, lounge, patio, and double size bed. 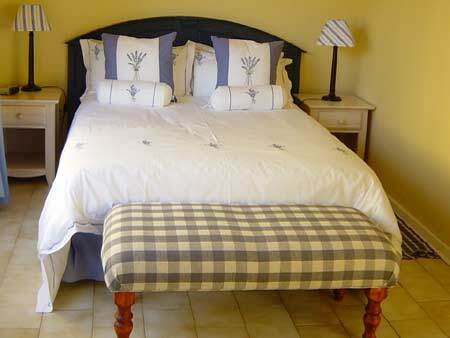 121 On Market offers breakfast included in the room rates, transfers, tours, laundry services, a garden, swimming pool, patio, and secure parking. 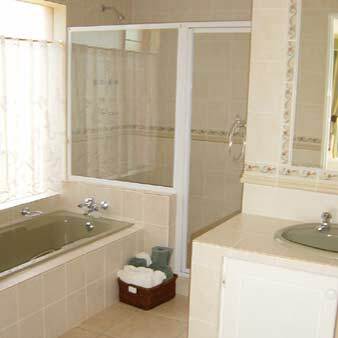 It is close to various restaurants, bars, shopping centres, and businesses. Activities and attractions include the Cradle of Humankind, Maropeng Visitor's Centre, Sterkfontein Caves, Rhino and Lion Park, Johannesburg Zoo, Pilansberg National Park, hiking, mountain biking, game drives, fishing, walking trails, Constitution Hill, Hector Peterson Museum, and the South African National Museum of Military History.Pretoria is a short drive away and offers the Union Buildings, Voortrekker Monument, National Botanical Gardensand Smuts House Museum.